Cybex 625 AT IFI is a commercial fitness equipment, that provides the benefit of many other fitness equipment. The Total Access Arc Trainer Inclusive Fitness allows fitness enthusiasts to attain faster results, using the same equipment. This equipment is loaded with features like locking mechanism for foot pedals, static side handles, large color contrasted foot pedals etc. The latest cost of Cybex Total Access Arc Trainer will be updated soon. *Note: Most of the sites, stores or shopping portals listed above sell Cybex Total Access Arc Trainer with discounts and other exciting offers. There is a possibility that the some of above websites are not selling Cybex Total Access Arc Trainer now. Toughtrain.com is not liable for such cases or instances. 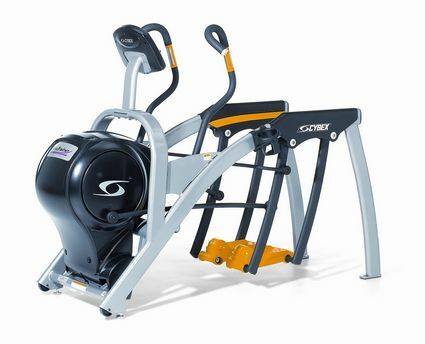 Also we do not recommend any seller for Cybex Total Access Arc Trainer and a buyer should buy from where he/she gets best deal with quality of products, service and on time delivery (shipment).